Chipping a tooth can happen as the result of a fall, a sporting accident or weakening of the tooth due to decay or disease. Regardless of the cause, however, it is important to have the chipped tooth repaired with dental treatment. Besides altering your smile, a chipped tooth can cause discomfort, pain, difficulty eating and infection of the pulp tissue. Over time, a chipped tooth will also likely change your bite, which can lead to further oral health problems. You can have the chipped tooth repaired, which will allow you to eat again as normal and avoid the risk of infection. The repair options available to you will depend on the seriousness of the damage and where the tooth is located. Treatment options include fillings or bonding. Your dentist will carry out a comprehensive exam of the tooth before deciding on the best course of treatment for you. Like a chipped tooth, cracked or broken teeth have the potential to lead to more serious issues. Cracked or broken teeth can expose the pulp, nerves and even the bones to secondary damage or infection. If you have a cracked or broken tooth, you should make an appointment with Kyle Parkway Dentistry so that we can assess the damage and begin treatment. 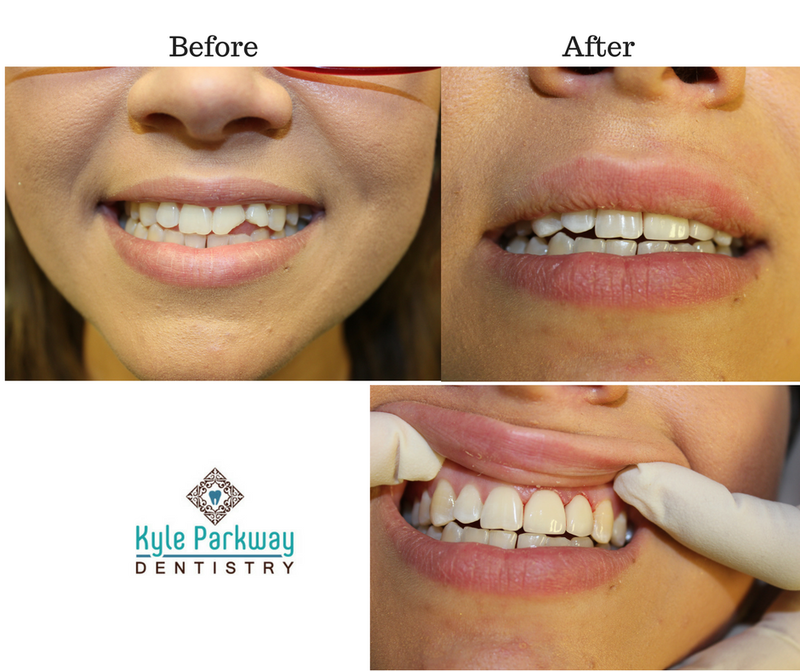 At Kyle Parkway Dentistry, we take great pride in the repair options we offer to our patients. You will receive a comprehensive exam, followed up by treatment to repair the cracked or broken teeth. We know that your smile is important to you. Not only will we repair any damage to your teeth, we will also ensure that any fillings or bonding blends with your natural teeth. If you are concerned that a crack in your tooth may be serious, call our offices for over the phone advice. If we think you need to come in, contact Kyle Parkway Dentistry today to schedule an appointment that is suitable for you.